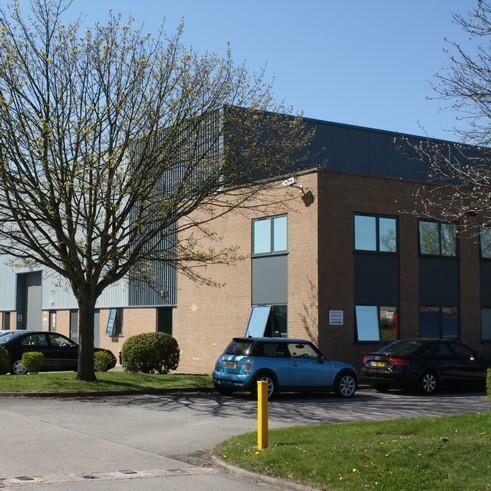 The emphasis of this project was not heavily architecturally biased, but, to provide a HQ/distribution building that was re planned to suit the existing occupier’s latest accommodation requirements that had changed during their term of occupation. At this time the general fabric of the envelope was also upgraded to meet the latest building control standards together with the needs of the end user whilst they were in continuous occupation. All work was carried out within the firm cost constraints set by our client, the landlord. Works included redecoration of wall cladding and new fenestration to update the building’s look, together with an upgrade and remodelling of office and ancillary areas internally, both decoratively and to meet current DDA standards.